Bring Tokyo closer to you with these beautiful shades. Inspired by the scenery,culture, and fashion. How Does Your Zen Garden Grow? a bright lime green, this shade name is inspired by Japanese rock gardens or dry landscapes. Arigato From Tokyo: a warm bold purple, inspired by the word "Arigato" which means thank you. Samurai Breaks A Nail: a deep bold purple with a shimmer, this shade name is inspired by the Tokyo flag which is purple. I'm On A Sushi Roll: a dusty blue/green, inspired by the food sushi is that is one of the most famous dishes in Tokyo. Hurry-Juku Get This Color: a dark tone pink, this shade name is inspired by the schools that are in Tokyo. Suzisan Climbs Fujisan a deep teal blue, this shade name is inspired by the Fuji mountains. Another Ramentic Evening a warm elegant pink, this shade name is inspired by Japanese dish which is called "Ramen Noodle Soup". Chopstix And Stones: a deep blue with a shimmer, this shade name is inspired by chopsticks, which are used all over Japan & Tokyo. Rice Rice Baby: a baby pink, this shade name is inspired by one of the most common dish eaten in Tokyo, which is rice. Tempura-ture Is Rising! : a bright summer orange this shade name is inspired by a Japanese dish called Tempura, which usually consist of sea food and vegetables. Kanpai OPI! a dusty cold blue, this shade name is inspired by the word cheers. Kanpai would normally be shouted before having a drink. All Your Dreams in Vending Machine: a deep dark pink with a shimmer, this shade name is inspired by Japanese vending machines that are available all over Japan/Tokyo. 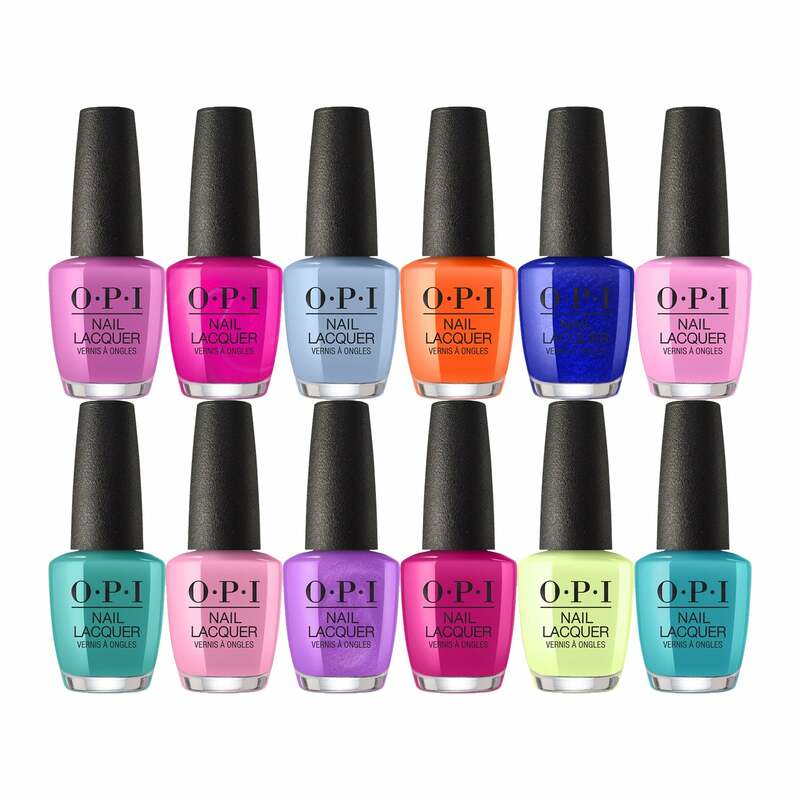 Unlock the 12 different shades that are inspired by one of top trendsetting cities in the world, which is Tokyo. Inspired by the tradition, fashion and the scenery that Tokyo has to offer. Bring Tokyo closer to you with these Tokyo inspired shades. Quality is on point as expected with OPI polishes, this collection is for pink lovers but also provides some unique shades for OPI. Package was carefully prepared and shipping was fast. Excellent purchase!! !